Not everyone likes bold or pastel colors. Some prefer the primitive and country style with its subtle and warm colors. 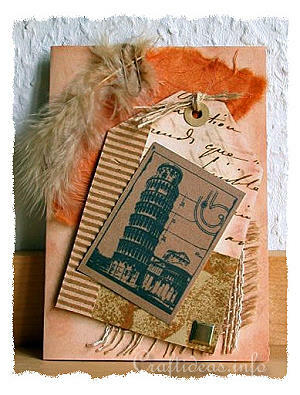 This card is made with scrapbooking and natural papers to give it a nostalgic, antique sort of look. 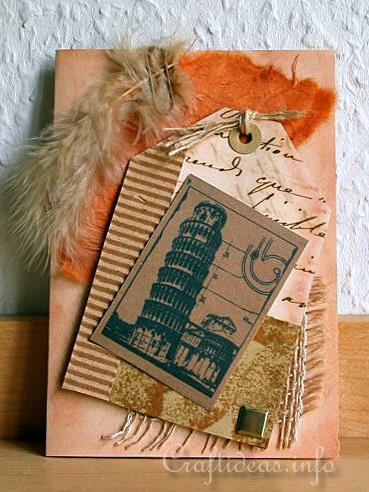 Follow the Step-by-Step Pisa Card Tutorial to craft this card.